Portia’s fantastic head of hair is just waiting for you to flex your hairstyle creativity! 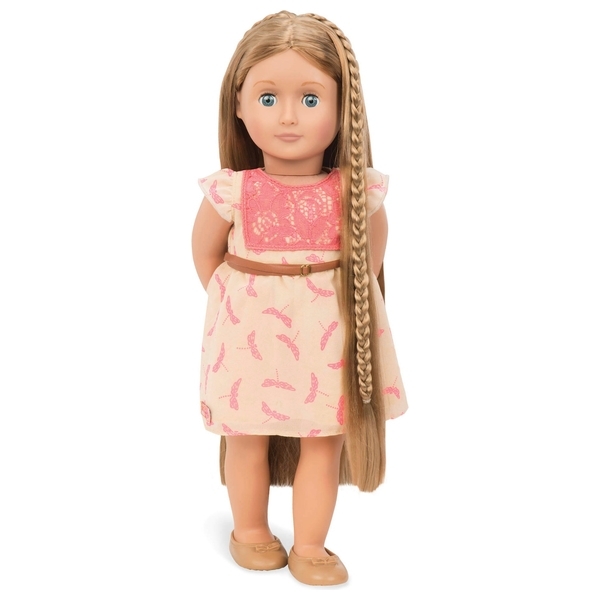 The Our Generation Hair Play Doll Portia features a cool hairstyle guide to teach you how to create amazing up- dos! Use the 2 hair extensions, metal heart clips and headband to style Portia’s hair in lots of fun ways!